The creator of ethereum, Vitalik Buterin, has just been awarded an honorary doctorate by the University of Basel. 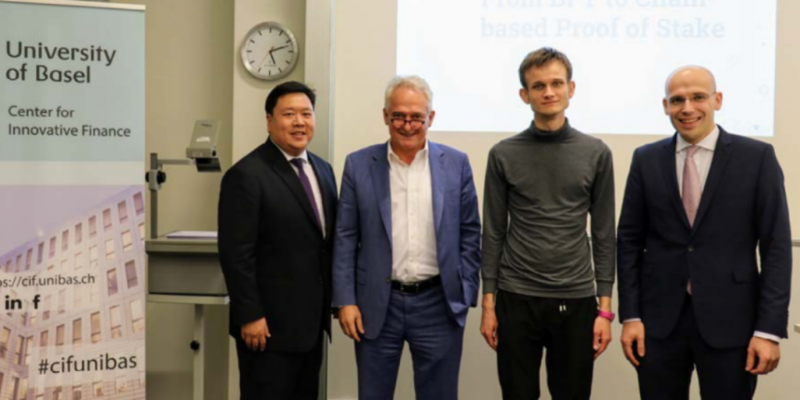 Now Dr. Buterin, Vitalik received the recognition from the institution’s Faculty of Business and Economics for his work on blockchain development at the Dies Academicus – an annual celebration of the founding of the university – on Friday. Further, Vitalik’s research interests in game theory, economic incentives and governance are shared by the faculty, as well as its Center for Innovative Finance, it said. When just 19 years old, Vitalik published the article “Ethereum: A Next Generation Smart Contract & Decentralized Application Platform,” which turned out to be “groundbreaking for the decentralization of software applications,” the faculty said. His research to date has been published without an academic degree and without any connections to a university. The news comes as ethereum is preparing for a new upgrade, ethereum 1x, that proposes to scale the platform in the short to medium term.